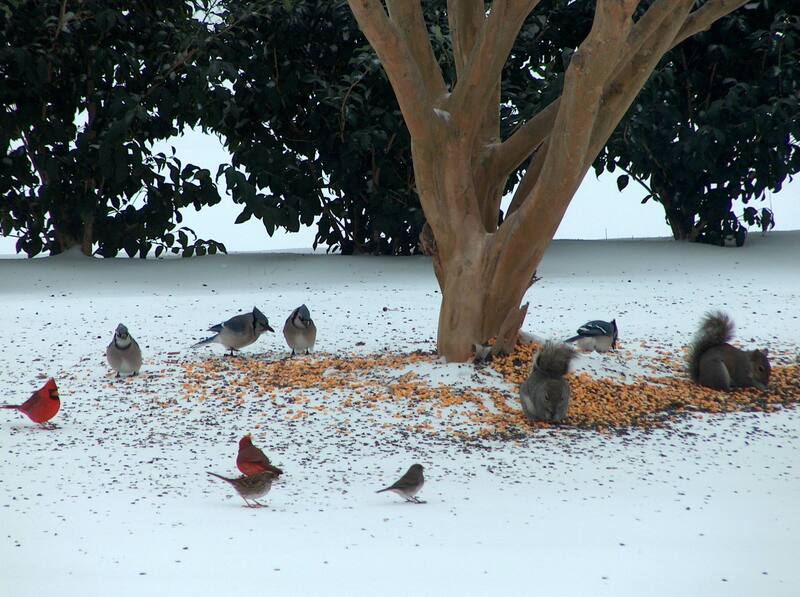 Four orioles, three pairs of cardinals, and assorted tufted titmice and sparrows are enjoying breakfast in the snow. It didn’t take long for the neighborhood children to try making snowballs and pull out their sleds either. Even the news reporters who must have been up practically all night had not lost their excitement as they reported the latest snowfall accumulations and watched cars try to navigate slick intersections. The first thought I myself had after waking up was to see how much snow had fallen and how beautiful the morning was. he practicality of navigation along those slushy streets. The exciting wonder of this morning will become a distant memory before the week is out. us argue this out,” says the Lord. “No matter how deep the stain of your sins, I can remove it. I can make you as clean as freshly fallen snow.” (Isaiah 1:18) Although the fresh beauty of this morning’s snow will quickly fade, no matter how messed up or ruined our lives may be God is able to restore our soul’s beauty just as surely as He has covered the bleak mid-winter with snowy beauty. May our child-like joy of the snow mingle with gratitude to our God for the never-ending Gift of new fallen forgiveness.